Buster talks to Keith Law about the "emotional leverage" in Matt Carpenter's new extension with the Cardinals, other players who should be looking for extensions and the trend of "poor" baserunning in the league (9:48). Plus, Sarah Langs' Numbers Game (37:40), Jessica Mendoza on Mets first baseman Pete Alonso and more (43:13) as well as your "Bleacher Tweets" (59:53). Buster & Karl Ravech discuss Thursday's stellar pitching performances, the implosion of the Cubs and more (12:03). Plus, Jessica Mendoza stops by (34:35) and Coley Harvey brings some Inside Heat on the Yankees (50:26). Buster talks to Keith Law about Jacob deGrom's dominance, the Acuna deal, the Ump Show in Texas and more (14:49). Plus, Sarah Langs' Numbers Game (49:10) and a tribute to Bobby Cox (54:28). After the best highlights of the day and a dive into the numbers with Paul Hembekides (17:26), Buster & Boog Sciambi discuss Bryce Harper's bat flip, Ronald Acuna Jr.'s new deal and more (24:28). Plus, the 2019 debut of the Power 10 Rankings (51:13). Buster talks to David Schoenfield about the injury issues that are already presenting themselves around the game, the war of words between Ron Darling & Lenny Dykstra and much more (13:35). Plus, Sarah Langs' Numbers Game (43:56) and Steve Buckley with some Inside Heat on the struggling Red Sox (48:20). Before hearing from Bryce Harper (33:03), Freddie Freeman (44:16) and Gabe Kapler (47:06), Buster and Tim Kurkjian discuss the biggest surprises of the weekend, Christian Yelich's scorching start, cause for concern in Boston and Chicago and much more (9:27). Plus, "Cap Talk" with Todd Radom and the weekly uniform/logo quiz (36:15). On the next stop on the Laughter Permitted party train, Julie Foudy catches up with her longtime pal Jessica Mendoza, who is a two-time Olympic medalist in softball and an analyst on ESPN's Sunday Night Baseball. Jessica tells the story of how a post-game interview during her playing days led to her current career in TV. She also delves into what it's like being a woman calling MLB in primetime, how a cockroach in a Dominican Republic bathroom helped her out of a hitting slump, what it's like homeschooling her sons and why scotch is her preferred drink of choice. Jessica's 9-year-old son, Caleb, joins the conversation and is so good on the mic that he has been invited to be on every episode going forward. Buster reacts (and overreacts) to everything from Opening Day with Boog Sciambi (9:55) and Doug Glanville (28:04). Plus, a conversation with Boston's J.D. Martinez (41:12). Before hearing pt. 2 of Mike Greenberg's conversation with Rob Manfred (50:00), Buster talks to Keith Law about the deGrom extension, his predictions for the season & more (8:20). Plus, Sarah Langs' "Numbers Game" (34:24) and Jessica Mendoza on Opening Day excitement (38:49). Before hearing from Commissioner Rob Manfred, Buster talks to Karl Ravech about Fernando Tatis, Jr. starting the season in the big leagues, Steven Souza, Jr.'s peculiar injury, and concerns about the health of Carlos Correa (7:35). Plus, "Hembo Knows" about a position that's becoming extinct (39:46). Buster chats with David Schoenfield about Jacob deGrom's new contract and the future of Francisco Lindor (4:22). 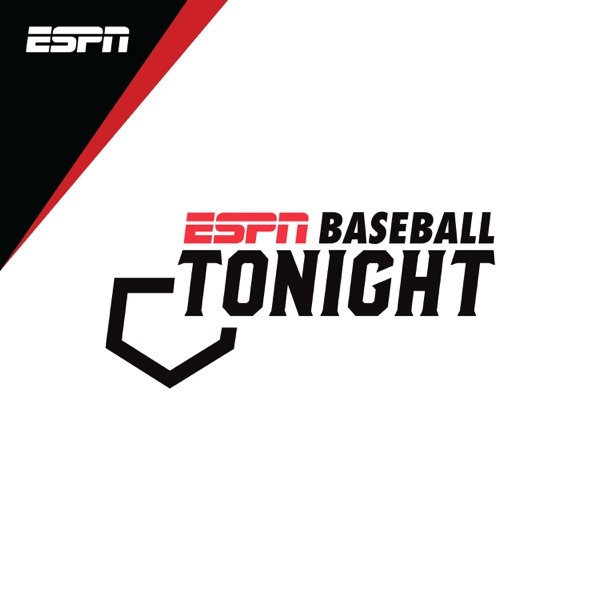 Plus, the "Numbers Game" from Sarah Langs (26:05), Rick Mace on how ESPN picks which games to air on Sunday Night Baseball (31:17), and Hal Steinbrenner on the Yankees' offseason (43:07). Buster & Karl Ravech discuss the activity in the NL Central, new-wave philosophies in front offices and much more (4:13). Plus, Marly Rivera talks Ichiro (28:32) and Jessica Mendoza discusses her recent interactions with Mike Trout and more (36:54). Before Buster's extensive conversation with Phillies OF Andrew McCutchen (38:04), Josh Macri talks to David Schoenfield about Ichiro's goodbye, Mookie Betts' future, injuries to young stars & more (8:58). Plus, Sarah Langs' "Numbers Game" (31:50). Before a conversation with Dodgers manager Dave Roberts (30:43), Buster talks to Karl Ravech about adjusting to changes in the game and much more (5:06). Plus, Jessica Mendoza on her breakout candidates for 2019 (37:35). Buster welcomes David Schoenfield to discuss the latest agreement between MLB & the players, Ronald Acuna Jr.'s hot spring and more (4:51). Plus, Sarah Langs' "Numbers Game" (28:43) and Eduardo Perez on his biggest takeaways from the spring thus far (34:00). Buster discusses ESPN's rankings of the top 100 players in baseball and much more with Jayson Stark (5:15) and Boog Sciambi (29:28). Plus, Yankees manager Aaron Boone (24:36) and Paul Hembekides dives into the numbers for "Hembo Knows" (49:23). Before hearing from new Angels P Matt Harvey (26:32), Buster & Keith Law discuss front office strategy when it comes to valuable players and much more (3:09). Plus, Sarah Langs' "Numbers Game" (34:29) and Tim Keown on his recent ESPN the Magazine cover story on Bryce Harper (39:48). Before hearing from Max Scherzer (41:59) & Bob Melvin (47:26), Buster & Karl Ravech discuss All-Access day, critical times for free agents, Tom Seaver and much more (6:01). Plus, Jessica Mendoza on her new role with the Mets (35:30). On All-Access day with the Red Sox, Buster chats with Chris Sale (43:16), goes around the Majors with Tim Kurkjian (4:41) and Keith Law (17:38) and welcomes Sarah Langs for another "Numbers Game" (38:40). Before hearing from Xander Bogaerts (25:58) & Max Muncy (37:44), Buster & David Schoenfield discuss Luis Severino's status, Bryce Harper recruiting Mike Trout & more (6:17). Plus, Paul Hembekides with "Hembo Knows" (42:21). Before conversations with Mike Trout (27:33) & Adam Wainwright (33:18), Buster & Boog Sciambi discuss service time manipulation, Clayton Kershaw and more (3:54). Plus, Sarah Langs' "Numbers Game" (43:06) and an All-Access ride with Boston's Matt Barnes (48:34). Buster and Karl Ravech discuss the Phillies signing Bryce Harper (6:30), including scrutiny over the terms of the deal and how things look for his new team (Philadelphia) as well as his old team (D.C.) moving forward. Scott Lauber of the Philadelphia Enquirer joins for "Inside Heat" on how Phillies owner John S. Middleton was able to seal the deal (29:09) and "Hembo Knows" with Paul Hembekides on why the Phillies' lineup should be feared (42:16). Plus, Jessica Mendoza on Kershaw (45:57) and your #BleacherTweets (1:00:17). Before chatting with music legend Garth Brooks about his time with the Pirates (29:35), Buster and Boog Sciambi dish on projected win totals and much more (2:49). Plus, Coley Harvey with some "Inside Heat" on the Yankees (36:21) and we remember the life of the late Nick Cafardo. Buster talks to Karl Ravech about the emotion surrounding a potential Bryce Harper deal, potential issues for an NL Central contender and much more (6:59). Plus, Jessica Mendoza on Manny Machado and the Mets (31:39), and Sarah Langs' "Numbers Game" (44:31). Buster talks to Bleacher Report's Scott Miller about Manny Machado's deal with the Padres, the ripple effect it will have and much more (8:23). Plus, "Hembo Knows" (24:48), Laura Armstrong with some "Inside Heat" on the Blue Jays (31:55) and remembering the life of the great Don Newcombe (44:31). Buster talks to David Schoenfield about Mike Trout's future, the legendary career of Bruce Bochy, labor talks and more (6:01). Plus, Sarah Langs' Numbers Game (26:52), Marc Topkin with some Inside Heat on the Rays (33:01) and Karl Ravech chats with Alex Cora and Mookie Betts (35:44). Buster & Tim Kurkjian discuss the waiting game with Harper, Machado and other big stars, what it means for labor peace and much more (6:48). Plus, Mark Teixeira shares his Spring Training perspective (26:50), Scott Lauber brings some "Inside Heat" on the Phillies (39:29), and Buster talks to CC Sabathia about his farewell season (43:28). Buster goes rapid fire with Bob Nightengale on the latest free agency news (4:54), talks to Keith Law about labor negotiations and his rankings (15:35), plays a special "Numbers Game" with Sarah Langs (38:25), gets uniform updates from Todd Radom (44:25) and much more. Before catching up with Red Sox President Dave Dombrowski (30:16), Buster & Keith Law discuss the Hall of Fame election, what it means for the future and more (6:45). Plus, a Hall of Fame edition of "Hembo Knows" (42:54) and some Inside Heat on the Cubs from Jesse Rogers (50:04). After some Inside Heat from Philadelphia (5:14) & St. Louis (11:06), Buster & Tim Kurkjian discuss next week's Hall of Fame vote, the latest with Machado & Harper & more (16:37). Plus, Sarah Langs' "Numbers Game" (35:35), a conversation with record-setting journeyman Oliver Drake (44:08) and longtime friend Chelsea Janes' goodbye to baseball reporting (58:49). Before catching up with Braves GM Alex Anthopoulos (38:19) & Giants President Farhan Zaidi (49:01), Buster spans the globe with stops in Oakland (9:34), Tampa (17:03), Chicago (21:49), Cleveland (27:30) and Colorado (30:44). Before catching up with Tim Kurkjian (30:44), Buster gets a Winter Meetings edition of "The Numbers Game" (1:52) and checks in on the hot Winter markets, including Houston (9:41), Chicago (13:56), New York (18:43) and San Francisco (24:29). Before chatting with new Orioles Exec. VP Mike Elias (42:31), Buster Olney checks in on the biggest offseason stories in L.A. (1:37), D.C. (6:44), Seattle (10:42), St. Louis (18:13), New York (23:59), Philadelphia (31:35) and Boston (37:41). Plus, a fascinating conversation with 30 for 30's Jody Avirgan (55:14). Mike Greenberg talks to Baseball Commissioner Rob Manfred about dealing with tough issues (2:00), his relationships with the other commissioners (10:15), balancing tradition with change (18:30), analytics (23:45), his passion for golf (33:06) and much more. Buster & Bob Nightengale discuss MLB awards season, Bryce Harper's future, their expectations for the hot stove and much more (4:32). Plus, some Inside Heat on the Red Sox from Alex Spier (23:26), on the Cubs from Jesse Rogers (33:16), and an interview with NL Cy Young Award winner Jacob deGrom (42:38). Buster talks to Keith Law (2:59) & Bob Nightengale (36:02) about their expectations for the offseason and much more. Plus, Jessica Mendoza with one more World Series breakdown (24:48), a fascinating conversation with author Jane Leavy (45:47) and a podcast tradition to close out the year. Buster & Tim Kurkjian share their perspective on the events that led to another World Series title for the Red Sox, Boston's unlikely heroes and more (2:37). Plus, Sarah Langs' "Numbers Game" (30:06), Clayton Kershaw's postgame remarks (35:06) and the finale of Todd Radom's trivia (41:18). Buster recaps an epic World Series weekend which ended with the Red Sox winning their fourth title of the 21st century. Buster breaks down every angle of the World Series as it shifts to L.A. with Jessica Mendoza (4:34) & Karl Ravech (28:54). Plus, Sarah Langs' Numbers Game (24:56). Buster & Keith Law break down what's going so well for the Red Sox and what's going so poorly for the Dodgers through two games in the World Series (2:17). Plus, Sarah Langs' Numbers Game (28:30) and much more. Buster recaps Boston's Game 2 win over the Dodgers focusing on David Price's stellar outing and a clutch hit by J.D. Martinez. Buster & Chris Singleton discuss Boston's flawless strategy in their Game 1 win over the Dodgers and much more (3:20). Plus, a dive into the numbers with Sarah Langs (29:26) and Paul Hembekides (46:17) and a chat with Phillies slugger Rhys Hoskins (35:54). Buster recaps Boston's Game 1 win over L.A., focusing on how the Red Sox took advantage of opportunities all game long to get the victory. Buster previews EVERY angle of the World Series with Dan Shulman (10:40) & Alex Speier (34:55). Plus, Sarah Langs' "Numbers Game" (28:56), comments from Commissioner Rob Manfred (49:53) and more. Buster & Tim Kurkjian discuss their expectations for the World Series, how the elements could be a factor & more (8:24). Plus, an epic trivia session with Todd Radom (38:14). Buster talks to Karl Ravech about David Price's brilliant performance against the Astros & more (2:30). Plus, Pedro Gomez stops by to preview Game 6 of the NLCS (27:52). Buster recaps Boston's win over the Astros in Game 5 of the ALCS, led by a dominant performance by David Price. Before chatting with likely AL Cy Young winner Blake Snell (38:52), Buster & Keith Law discuss an epic Game 5 between the Red Sox & Astros, the Dodgers' ability to take control in the NLCS and more (2:10). Plus, Sarah Langs' "Numbers Game" (34:04). Buster recaps Clayton Kershaw stepping up for the Dodgers and the Red Sox pull out a DRAMATIC win to take a commanding 3-1 lead over Houston. Buster talks to Dave Schoenfield (1:51) & Jessica Mendoza (19:55) about whether Manny Machado's play should be considered "dirty," the Red Sox taking control & more. Plus, Paul Hembekides dives into the statistical trends of the series (32:28). Buster recaps Tuesday's MLB playoff action including the Red Sox pulling away from the Astros late, and the Dodgers winning in extras amid controversy against the Brewers. Before hearing from Brewers IF Travis Shaw (36:45), Buster & Boog Sciambi discuss Yasmani Grandal's remarks, break down the Championship Series & more (1:44). Plus, Sarah Langs' Numbers Game (32:22). Buster recaps the Brewers shutting out the Dodgers in L.A., while the Red Sox and Astros prepare for a pivotal Game 3 in their series. Buster recaps the Red Sox evening their series against the Astros, while the Dodgers and Brewers are deadlocked heading west. Buster Olney discusses the keys to the two League Championship Series with Karl Ravech (1:53). Plus, he chats with Steve Sparks of KBME about foreign substances and the Astros (30:28). Buster offers his insight on baseball's final four and all four teams preview what is ahead. Buster talks to Keith Law about his thoughts on the LCS in both leagues, the D-Backs' impending fire sale and more (3:22). Plus, Sarah Langs' "Numbers Game" (28:25), Bill Shaikin with some potential changes to expect in 2019 and some Inside Heat on the Dodgers (33:13). Buster Olney welcomes Adnan Virk to rank his top-10 announcers in MLB history. Buster recaps the Red Sox finish off the Yankees... Barely. Buster talks to Tim Kurkjian about Boston's blowout of the Yankees, the Astros playing the respect card, the Dodgers taking care of the Braves and more (2:10). Plus, TBS' Brian Anderson weighs in on calling Red Sox-Yankees as well as what he expects from the Brewers for the remainder of the postseason (24:49). Finally, Sarah Langs plays "The Numbers Game" (42:21). Before hearing from J.D. Martinez (23:32) & Dave Roberts (26:51), Buster & Boog Sciambi discuss the Brewers' dominance & more (:57). Plus, Andrea Pelkey on her viral video of Aaron Judge (17:38), and Todd Radom's #ThirtyUnis examines the Mets (29:15). Buster recaps all of Sunday's MLB action including the Brewers completing the sweep of the Rockies, the Braves living to fight another day against the Dodgers and more. Buster & Karl Ravech discuss big wins for the Brewers and Dodgers, look ahead to the weekend and more (2:15). Plus, E:60 producer Max Brodsky joins Buster to discuss their feature on Carlos Correa (29:40). Buster recaps Thursday's MLB action including a walk-off win for the Brewers, a dominant game for the Dodgers and more. Plus, a look ahead to Friday's games. Buster talks to Tim Kurkjian about the Yankees' dominant win over the A's, his Division Series predictions & more (1:32). Plus, a post-mortem on the Cubs from Jesse Rogers (25:35), Inside Heat on the Yankees from Coley Harvey (35:29), Sarah Langs' Numbers Game (41:37), and a postseason edition of the "Power 8" (46:15). Buster recaps the Yankees blowout win over the A's in the AL Wildcard game and looks ahead to the Divisional series. Before hearing from Astros 3B Alex Bregman (29:10), Buster & Boog Sciambi discuss the Rockies' epic win, what's next for the Cubs, the AL Wild Card and much more (1:16). Plus, a dive into the numbers with Paul Hembekides (35:48). Josh Macri recaps a very eventful Wild Card matchup between the Rockies and the Cubs then looks ahead to the ALWC game between the A's and Yankees. Buster talks to Jerry Crasnick (:32) & Jessica Mendoza (23:37) about the MLB tiebreakers, what they expect in the Wild Card games and more. Plus, a Wild Card edition of Sarah Langs' "Numbers Game" (37:05). Buster recaps Monday's MLB action including clinching wins for the Brewers and Dodgers in Game 163. Before Boog Sciambi catches up with Cubs manager Joe Maddon (23:22), Buster and Keith Law discuss the tiebreakers, legendary figures saying goodbye and more (:59). Plus, Todd Radom's latest #ThirtyUnis reveal and logo trivia (24:31). Buster recaps all of Sunday's MLB action including the results leading to a pair of Game 163's, some potential goodbyes for legendary players and much more. Buster talks to Bob Nightengale (1:24) & Boog Sciambi (14:24) about what could take place in the season's final weekend, CC Sabathia sticking up for his teammate and more. Plus, Rob Bradford with some "Inside Heat" on the level of panic over Chris Sale and Boston's pitching staff (33:58). Buster breaks down an eventful Thursday slate, including CC Sabathia passing on $500,000 and David Dahl's clutch gene. Buster talks to Dave Schoenfield about a wild night in MLB on Wednesday (:49) and to Keith Law about what those things mean in the grand scheme of things (13:16). Plus, Sarah Langs' "Numbers Game" (30:47) & more. Buster recaps all of Wednesday's MLB action, including playoff resolutions in the NL Central, a potential goodbye for Bryce Harper, a milestone for Mookie Betts and an exclamation point for Jacob deGrom. Buster talks to Karl Ravech about the Astros' AL West crown, the drama down the stretch in the NL, Kris Bryant's bad luck and more (:25). Plus, Paul Hembekides gets a trivia ambush (22:34), Jake Kaplan brings some "Inside Heat" on the Astros (27:14) and the guys unveil their final Power 10 of the regular season (39:20). Buster recaps all of Tuesday's MLB action including a huge milestone for Max Scherzer, the Astros clinching the AL West and a crazy night in the National League. Buster talks to Tim Kurkjian about the A's low-budget success, the NL playoff picture, the Giants' future & more (1:40). Plus, Sarah Langs' "Numbers Game" (28:23) and Tom Haudricourt with some "Inside Heat" on the Brewers (33:46). Buster recaps all of Monday's MLB action, including a clincher for the A's, a franchise record for the Red Sox, a career first for Bryce Harper and a huge win for the Brewers. Buster & Jerry Crasnick discuss injuries to Didi Gregorius and Xander Bogaerts, the Indians' chances in the postseason, tight races in the NL, Hawk Harrelson's final call and much more. (2:34). Plus, Boog Sciambi and Chris Singleton caught up with Francisco Lindor (31:30) and Terry Francona (43:13), Todd Radom stops by for another quiz (37:30) and your #BleacherTweets. Buster & Karl Ravech discuss Boston clinching the AL East, the showdown between the Red Sox & Indians, the AL MVP race & more (1:39). Plus, Jessica Mendoza on what Walker Buehler's rise has meant for the Dodgers (27:51). Buster breaks down Thursday's slate, including a three touchdown performance from the A's and the Red Sox locking up the AL East. Buster talks to Keith Law about the Dodgers coming together at the right time, the level of concern over Boston's stumble & more (:33). Plus, a conversation with the great Dan Shulman (23:32), Sarah Langs' "Numbers Game" (35:23) and Josh acts out the dialogue of the guys who found the Red Sox's AL East championship banner (15:26). Buster recaps all of Wednesday's MLB action, including another win for the Dodgers, the Yankees staving off a Boston celebration again, and a milestone walkoff for Jason Kipnis. Buster talks to Jerry Crasnick about the dynamics of the NL West race, his awards front-runners and more (:36). Plus, Marly Rivera on "The Cora 4" (21:38) and MLB.com's Jordan Bastian with some "Inside Heat" on the Indians (31:28). Buster recaps all of Tuesdayas MLB action, including a comeback win for the Yankees, the emergence of Josh James for the Astros, an update on Trevor Story and much more. Buster talks to Boog Sciambi about the art of the called shot in the booth, Christian Yelich's impact and more (:28). Plus, Sarah Langs' "Numbers Game" (20:00) and Coley Harvey with some "Inside Heat" on the Yankees (25:23). Buster recaps all of Monday's MLB action including a scary moment for the Rockies, a wild prediction from the Cubs' booth and a historical accomplishment for the potential NL MVP. Before hearing from the Dodgers' Cody Bellinger (28:26), Buster & Tim Kurkjian discuss Adam Wainwright's impact, the awards races, Dave Roberts' future and more (:31). Plus, Todd Radom's logo trivia (31:05). John Brickley recaps all of Sunday's MLB action including another Mets loss behind Jacob deGrom, a big rally for the Blue Jays, a dominant performance by the Cards & more. Buster talks to Karl Ravech about the Rockies' dismissal of the Diamondbacks, Pedro Strop's injury & more (:42). Plus, Jessica Mendoza weighs in on Josh Hader's MVP case (28:18), Jesse Rogers offers some "Inside Heat" on the Cubs (43:12) and much more. Buster breaks down Thursday's action, including a bit of everything from Javier Baez and Manny Machado flexing his muscles. Before chatting with Braves GM Alex Anthopoulos (25:30), Buster & Keith Law discuss the Rockies, Josh Hader's dominance, the Phillies' issues & more (:24). Plus, Sarah Langs' "Numbers Game" (36:25) and the Power 10 rankings (38:57). Buster breaks down Wednesday's action, including the 100th win of the season for Boston and a tight NL Central race. Buster & Tim Kurkjian discuss the Red Sox being the first team to clinch a playoff berth, if Joe Mauer is a Hall Of Famer, the latest on Josh Donaldson, Tim's NL MVP favorite and much more (1:34). Plus, Paul Hembekides drops by for Hembo Knows with a surprise guest (20:13), Andy McCullough of the LA Times talks all things Dodgers (24:30) and your #BleacherTweets. Buster breaks down Tuesday's action, including the first seat at the playoff table being claimed and more tough luck for deGrom. Buster & Jerry Crasnick discuss Josh Hader's epic performance on Monday, the sour grapes displayed by several AL contenders and more (1:07). Plus, Sarah Langs' "Numbers Game" (23:52) and Derrick Goold with some "Inside Heat" on the Cardinals (27:33). Buster breaks down Monday's action, including a N.L. Central race that's coming down to the wire. Before hearing from Red Sox OF Mookie Betts (28:24) & Astros GM Jeff Luhnow (33:05), Buster & Tim Kurkjian discuss the controversial call on SNB, the NL East race & more (1:31). Plus, Todd Radom's weekly quiz (35:30). Buster recaps Sunday's action including a controversial play in Boston, a heated exchange in Milwaukee, a great finish between the Mariners & Yankees and much more. Before hearing from Yankees OF Andrew McCutchen (51:53), Buster & Karl Ravech discuss the Angels' Mike Trout conundrum, the NL Central race, J.D. Martinez's shot at history & more (:22). Plus, Jessica Mendoza on Alex Bregman's sweet swing and who'd get her vote for NL Manager of the Year (33:22). Buster breaks down an abbreviated Thursday slate, including an MVP case for Francisco Lindor and another clutch hit by David Bote. Before hearing from Brewers manager Craig Counsell (28:14), Buster & Keith Law discuss Shohei Ohtani's dilemma, Alex Bregman's sweet swing and more (:25). Plus, Sarah Langs' "Numbers Game" (23:48) and Alex Speier on one of the most remarkable wins of the year for the Red Sox (31:05). Buster breaks down Wednesday's action, including the scorching hot Alex Bregman and a difficult Shohei Ohtani situation. Buster talks to Tim Kurkjian (1:23) & Boog Sciambi (23:10) about the Mariners' infighting, personal fight stories, the bullpen woes amongst contenders and more. Plus, Paul Hembekides dives into the numbers (46:39) and the weekly "Power 10" rankings (51:07). Buster breaks down Tuesday's action, including more power from the Yankees and turmoil in Seattle. Before hearing from Braves manager Brian Snitker (26:27) & Astros 3B Alex Bregman (32:25), Buster & Jerry Crasnick discuss Wil Myers "accidental" criticisms of Andy Green, the waiver deals that will make the biggest difference down the stretch and much more (1:04). Plus, Sarah Langs' "Numbers Game" (28:38), Todd Radom's uniform quiz (34:16) and much more. Buster breaks down the Labor Day action, including Jacob deGrom strengthening his Cy Young case and a Wil Myers misstep. Buster & Karl Ravech discuss the Yankees' deal for Andrew McCutchen, other waiver deals that could make a difference down the stretch and more (2:21). Plus, Jessica Mendoza on the continued ascension of the Astros (26:48) and KLAA's Terry Smith on his career and the probably return of Shohei Ohtani (43:46). Buster recaps all of Thursday's action, including a critical day in the NL West, a milestone for Giancarlo Stanton in a losing effort and much more. Before chatting with Mets P Jacob deGrom (24:00), Buster & Keith Law discuss Christian Yelich's historic night, Albert Pujols' knee surgery and what's next for the Angels, the USA Today article on Roberto Osuna and much more (1:14). Plus, Sarah Langs drops by for another edition of the Numbers Game (33:13) and your #BleacherTweets. Buster breaks down Wednesday's slate, including an amazing play from Steven Souza Jr. and a rare night from Christian Yelich. Before chatting with A's closer Blake Treinen (26:04), Buster & Boog Sciambi discuss the Cardinals taking the interim tag from Mike Shildt, the NL Cy Young debate and more (1:14). Plus, Paul Hembekides with some interesting Ted Williams figures (36:06) and another edition of "The Power 10" (42:02). Buster breaks down a Tuesday night in which walk-offs were plentiful and Jacob deGrom experiences more tough luck. Buster & Jerry Crasnick discuss their unconventional awards choices, Boston's defensive outfield & more (1:46). Plus, Sarah Langs' "Numbers Game" (29:00) and KBME's Steve Sparks on the Astros (32:50). Buster breaks down Monday's action, including a confident Astros teams and a red-hot Anthony Rizzo. Buster breaks down Sunday's action, including a potential Wally Pipp situation and Matt Carpenter continuing to carry the Cards. Before a conversation with Reds Manager Jim Riggleman (36:34), Buster & Karl Ravech discuss the Marlins hitting Ronald Acuna again, the Cy Young race and more (1:42). Plus, Jessica Mendoza joins to discuss this Sunday's match-up in Baltimore (21:20). Buster breaks down all of Thursday's action including an Acuna blast and a possible Cy Young performance. Before talking to White Sox pitcher Michael Kopech (29:22), Buster & Keith Law discuss whether the Indians should make a move for Andrew McCutchen, Kenley Jansen's continued struggles and more (:40). Plus, Sarah Langs' "Numbers Game" (25:45) and Chelsea Janes with some "Inside Heat" on the Nationals (37:20). Buster breaks down Wednesday's slate, including a red-hot Cardinals team and a good win for the Red Sox. Before chatting with Indians president Chris Antonetti (19:41), Buster & Boog Sciambi discuss the Nationals' fire sale, a revolutionary idea for Daniel Murphy in Chicago & more (:47). Plus, Paul Hembekides dives into the numbers (27:56), the "Power 10" rankings (33:56) and much more. Buster breaks down Tuesday's slate after reacting to the Nationals moving a few valuable pieces to the NL Central. Buster breaks down Monday's slate, including another win for Oakland and a playoff atmosphere in Boston. Buster Olney breaks down all of Sunday's matchups including Jose Urena coming back from his suspension in a big way, the Astros get a crucial win in the division and the Mets and Phillies remind us that it's a kid's game. Buster talks to David O'Brien (4:52) & Karl Ravech (10:41) about the Urena/Acuna fallout. Plus, Ravech weighs in on the growing absurdity of position players pitching & more. Sarah Langs also stops by for an emergency "Numbers Game" (32:47) and Jessica Mendoza discusses her excitement for this weekend's Little League Classic (39:42). Buster breaks down Thursday's slate, including another outburst from the Mets offense and a weird triple play in Texas. Buster & Dave Schoenfield discuss Ronald Acuna getting beaned, potential waiver deals and much more (:56). Plus, Sarah Langs' "Numbers Game" (24:32), Andrew McCutchen's humor (28:45), and Michael Kay with some "Inside Heat" on the Yankees (30:41). Buster Olney breaks down Wednesday's action, including a dazzling debut and controversy in Atlanta. Buster & Jerry Crasnick discuss Ben Zobrist's ump critique, Derek Jeter's first season on the job & much more (1:28). Plus, "Hembo Knows" (25:02), the Power 10 (31:52) and Paul Hoynes with some "Inside Heat" on the Indians (35:04). Buster Olney breaks down Tuesday's action, including the star that is Ronald Acuna and two very different streaks for the Cardinals/Astros. John Brickley breaks down Monday's slate, including more heartbreak for the Nationals and leadoff fireworks from Ronald Acuna. Before hearing from Cubs 1B Anthony Rizzo (32:14), Karl Ravech & Tim Kurkjian discuss the five biggest developments from the weekend, weigh in on Willie Mays' plea and more (:35). Plus, Todd Radom unveils the most notable uniform in Cardinals' history and moderates the latest uniform & logo trivia question (34:49). John Brickley breaks down a busy Sunday that featured Chris Sale's return and David Bote's big moment. Keith Law & Karl Ravech discuss Mookie Betts' big night, the Yankees' power, the next chapter for Felix Hernandez & more (:14). Plus, Meghan Montemurro with some "Inside Heat" on the Phillies (26:08). John Brickley breaks down Thursday's action, including the hardest hit HR ever measured and a rare happening for the Red Sox. Keith Law and Jerry Crasnick marvel at the youth movement on display in the NL East, discuss the backslide of the Mariners, Boston's pace and more (:18). Plus, Sarah Langs' "Numbers Game" (18:46) and an interesting chat with game developer Rob Daviau (30:07). John Brickley breaks down Wednesday's action, including a streaking A's team, an unbeatable Red Sox squad and a youngster doing it all. John Brickley breaks down Tuesday's action, including a historic win for Bartolo Colon and a Red Sox team that just can't lose. Keith Law & Eric Karabell put things in perspective for the Yankees, discuss the race for the NL East & more (:14). Plus, Sarah Langs' "Numbers Game" (19:35). John Brickley recaps Monday's MLB action, including the Yankees getting back in the win column, Roberto Osuna makes his debut for the Astros, David Peralta saves the Diamondbacks and more. John Brickley in for Buster chats with Tristan Cockcroft about the Red Sox padding their AL East lead after sweeping the Yankees and news leaking of Mike Scioscia potentially being done in L.A. (0:43). Plus, a conversation with Alex Cora (12:50) as well as the uniform/logo quiz with Todd Radom (17:01). Buster & Karl Ravech discuss the Red Sox landing the first punch against the Yankees, a statistical oddity in Texas, Brian Dozier's contributions to the Dodgers & more (1:07). Plus, Alex Speier with "Inside Heat" on the Red Sox (28:10), Paul Hembekides with so interesting tidbits on the NL MVP race (34:44) and we welcome podcast newcomer John Brickley (39:40). Buster breaks down a Thursday slate that featured runs being scored early and often. Before chatting with Blue Jays GM Ross Atkins (28:17), Buster & Jon Sciambi discuss Cole Hamels' impressive debut, the Red Sox's opportunity this weekend and more (1:33). Plus, Sarah Langs' "Numbers Game" (24:07), the latest Power 10 rankings and more (39:43). Buster breaks down Wednesday's action, including an impressive debut from Cole Hamels and Jake Bauers flashing his powers. Buster recaps all of Tuesday's MLB action including the Nationals putting up a football number, Rizzo defending Darvish, stars staying put at the deadline and more. Buster talks to Karl Ravech, Tim Kurkjian and Keith Law about everything that did (and didn't) happen in the last minutes of this year's non-waiver trade deadline. Buster & Jerry Crasnick recap the deals that have taken place prior to Tuesday's deadline, discuss the Astros' acquisition of Roberto Osuna and more (1:04). Plus, Chelsea Janes discusses if Bryce Harper will be traded (25:18) and Sarah Langs plays "The Numbers Game" (31:31). Buster breaks down Monday's action, including more dominance from James Paxton on a day otherwise filled with extra innings. Before hearing from newest Cub Cole Hamels (36:04) and listening to the best moments from Hall of Fame weekend (39:16), Buster & Tim Kurkjian discuss Yu Darvish's status with the Cubs, the Nats' place in the trade market, more unfortunate social media revelations for players and more (3:12). Plus, Todd Radom's trivia (30:11). Josh Macri breaks down the Sunday action, including a gem from Sean Newcomb and newly acquired players leaving their mark. Buster Olney profiles Angels superstar Mike Trout for E:60. On the eve of their inductions into the Baseball Hall of Fame, Buster Olney revisits his recent conversations with Chipper Jones (:40), Trevor Hoffman (15:01) & Jim Thome (27:20). Buster & Karl Ravech discuss the injuries to Judge & Strasburg, the clubs that have made the most noise in the trade market and much more (:54). Plus, veteran C Chris Gimenez on the award we've named for him (24:29) and former Angels scout Greg Morhardt on identifying Mike Trout as the next great ballplayer (34:10). Buster recaps all of Thursday's MLB action including major injuries for the Yanks and Nats, big trades around the league, a late comeback for the Cubs and much more. Buster recaps Wednesday's MLB action, including another milestone for Albert Pujols, Khris Davis carries the A's again, a controversial call that hurts the Astros, the Twins rally in extra innings to beat Toronto and much more. Buster & Tim Kurkjian discuss the Yankees' acquisition of Zach Britton, discuss if they're buying or selling teams on the brink of contention and more (1:13). Plus, the "Power 10" (27:41), Paul Hembekides on the 2018 Hall of Fame class, and Coley Harvey on the Britton deal and Gary Sanchez's injury (36:16). Buster recaps all of Tuesday's MLB action including an odd situation between the Cardinals and Reds, a big trade for the Yankees, a plethora of free baseball and more. Buster & Boog Sciambi judge the decision to remove Daniel Poncedeleon from his no-hitter, Gary Sanchez's hustle, the Mets and more (2:09). Plus, Sarah Langs' "Numbers Game" (24:40) and Jesse Rogers with some "Inside Heat" on the Cubs (30:11). Buster recaps Monday's MLB action, including a near no-no for Daniel Poncedeleon, Gary Sanchez's continued struggles, a slugfest between the Dodgers and Phillies and more. After Stephania Bell delves into Yoenis Cespedes' status (:58), Buster & Jerry Crasnick discuss Cespedes, Josh Hader's standing O, the trade market and more (12:15). Plus, Todd Radom' #ThirtyUnis and the latest trivia (34:51).